← Help us Choose Tunes for 2017! Happy New Year Fiddlers and friends! Plans for World Fiddle Day at the Aga Khan, May 20, 2017 are grooving along! Please add them to your calendars and we hope you can join us for as many as possible. Thank you to Long&McQuade for sponsoring our access to their clinic space, 935 Bloor St. West. Admission is by donation. Anne is currently working on the Repertoire. Memberships, tune books & CD’s will be ready before the first fiddle jam. 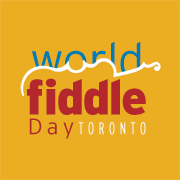 We’ll post the complete list of tunes on the worldfiddledaytoronto.ca as soon as it’s ready and we’ll send emails out to let you know. Until the book is ready, here is a list of tunes from 2015 & 2016 that you can start learning and practicing. Follow us on the website worldfiddledaytoronto.ca for up to date emails. We work on 3-5 new tunes each time with a session leader, and review as many others as we have time for. Optimum results for everyone are when you’ve already worked on the tune; then we can concentrate on the rhythm and feel and get the harmony and all the parts integrated. Practice sessions are a relaxed and friendly night of playing the tunes and we welcome new fiddlers. We ask all who attend to make a pay-what-you-can donation to pay our fearless leaders and to help fund our World Fiddle Day Toronto adventures. Stay tuned! Plans for World Fiddle Day Toronto 2017 are rapidly unfolding for an exciting collaboration in World Music with you at the Aga Khan.